Vancouver, BC – May 16, 2016, marks the official release of an exclusive new ExoUniversity online streaming workshop taped in Vancouver, British Columbia, Canada, on NewsInsideOut Plus. Filled with fascinating information and experiential practices, “Navigating the Omniverse to Disclosure and Density Ascension” captures veteran international leaders in wellness and education Alfred Lambremont Webre, JD, MEd, and Geri DeStefano Webre, PhD, at the peak of their insight. It was a beautiful April day at the P.N.E. as I walked past Momiji Gardens towards the entrance of Vancouver’s 2016 Body Soul & Spirit Expo to attend “Navigating the Omniverse”, a breakthrough workshop based on Alfred Lambremont Webre’s bestselling new book. Upon my arrival I met with Expo co-founder Chandler Armstrong who showed me to the room where the workshop was to be held. Seating was packed with enthusiastic readers eager to receive a coveted edition of the Omniverse book. The author was busy signing autographs like a rock star as his crew finished setting up the room. Everything appeared to be working, the audience were in their seats and before we knew it the event had begun. Geri DeStefano Webre started off with an orientation outline of the program to follow. She then led the group in guided visualization with breathwork. Her approach invoked an eclectic mix of space, environmental, mystic, healing, and philosophical themes to guide participants on a refreshing inner journey that focussed on seeing the positive and feeling good. The transpersonal therapist invited participants to “Imagine, feel and experience” with eyes closed on a journey to their inner world. “Any place in your body where you feel pain, stress, just imagine, feel and experience healing, protecting and cleansing,” she said. A projector image shining unintentionally upon the speaker created a minor psychedelic light show invoking an aura of times past. As I watched the delicate play of light I considered how those visuals may have helped some audience members get deeper into the spirit of this part of the Omniverse program. Alfred was next with a very detailed “presentation of findings” accompanied by dozens of slides that guided the audience through some of the terms and concepts addressed in the book. It was a “mapping of the dimensional ecology of the Omniverse” that appeared to hold the audience’s full attention. “Earth is changing and Earth itself may be ascending into what’s called the fourth density which is not a time-space density. It’s a love-based density,” the author said. He offered his position that key processes occurring globally at the present time include a concise internalization of the Omniverse, development of a science-based understanding of Soul Ascension, provisioning for a research-based overview of Disclosure and the unfolding of a Love and Soul-based program leading to what he called a “Service to Others Earth”. “We’re actually in the process of transitioning through a consciousness density,” he said explaining that the Omniverse is constructed around “dimensionality and densities of consciousness”. Readers concerned about the seeming übertalk-nature of these pronouncements take note: the detailed slideshow and relaxed conversational style of the presenters made much of the material easily accessible. The fact that both presenters appeared to embody and had lived through much of what they were teaching furthered the aura of authenticity that surrounded the audience experience of this event. Alfred Lambremont Webre’s slides took up much of the remaining time, leaving questions for meetings that took place outside in the sunshine. There was a well-defined feeling of community and interest in creating community around the topics discussed that morning. It appeared that a new and truly “Omniversal” conversation had begun, one that now continues online. Access to the video stream for “Navigating the Omniverse to Disclosure and Density Ascension” is available via rental or purchase. Under the rental agreement, viewers have 30 days to view the title and 72 hours to complete viewing once streaming begins. NewsInsideOut Plus subscribers will receive access to this title as part of their regular programming in June. 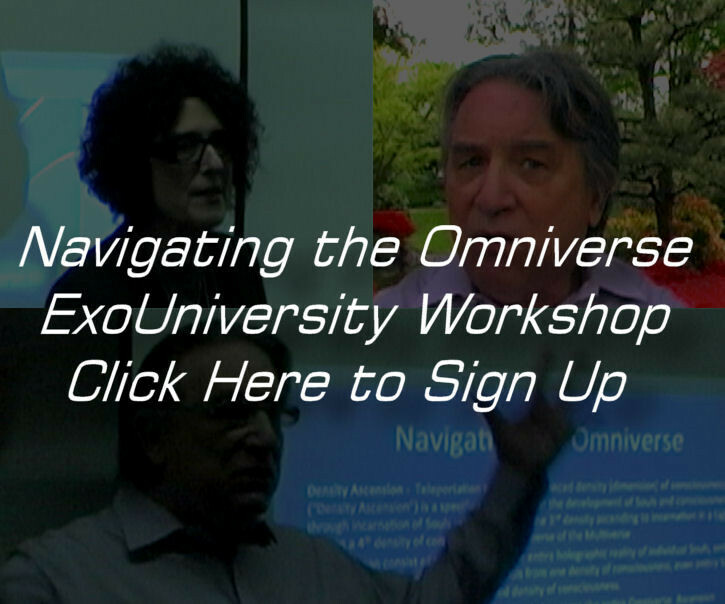 Join Alfred Lambremont Webre with Geri DeStefano-Webre, PhD in a breakthrough Seminar/Workshop, “Navigating the Omniverse to Disclosure and Density Ascension”, based on Alfred’s best-selling new book The Omniverse setting out a map for navigating our newest cosmological entity, the Omniverse. Now landed & available on Earth! The Omniverse: Ground-Breaking Book by Alfred Lambremont Webre Confirms Existence of the Omniverse, Advanced Alien Technology & Secret Inhabited Colony on Mars, to be featured on Coast to Coast AM on Black Friday Nov. 27, 2015! Vancouver, BC – An exclusive video posted to YouTube on October 23, 2014, offered analysis demonstrating involvement of at least one United States Navy SEAL in what was reportedly the CIA-backed contract killing of a Canadian Forces member at the National War Memorial in Ottawa on October 22, 2014. Speaking at a news conference held later that day RCMP Assistant Commissioner Gilles Michaud and one other official are said to have involuntarily disclosed suspicions concerning American involvement in the death of Cpl. Nathan Cirillo. Alleged shooter the reportedly deceased Michael Zehaf-Bibeau was portrayed in the media as a Keffiyeh-styled operative of the Hollywood tradition established by Charlie Sheen and Steven Seagal. Both celebrated actors portrayed Navy SEALs in 1990s cinema and the Aikido black belt star of “Under Siege” continues to make public and professional appearances wearing the garment today. Such costuming offers clues to a manufactured branding imposed upon the public imagination of events that unfolded in the Canadian capital that week. The state-sponsored CBC has described how members of the British Columbia Legislature “were contacted about concerns from Ottawa over a security threat, days before the shooting at the National War Memorial and Parliament Hill.” Yet in his remarks to the press the Commanding Officer of National Division emphasized how the RCMP were “caught by surprise” during that morning’s events. Evident confusion surrounding official foreknowledge signifies the presence of a cover-up obscuring deep political motives known to select insiders. The Vancouver UFO Examiner had previously cited a reinvigorated CIA Phoenix Program in its coverage of the Euromaidan sniper attacks that targeted protestors and police in Kiev leading to the overthrow of Ukraine’s democratically-elected government earlier this year. According to an online Central Intelligence Agency retrospective, the Phoenix Program sought destruction of the political infrastructure of targeted nations. One source further describes how the Central Intelligence Agency began using United States Navy SEALs for covert operations in early 1963. “The SEALs were involved in the CIA sponsored Phoenix Program where it targeted key North Vietnamese Army personnel and Vietcong sympathizers for capture and assassination,” it is said. The following analysis relies upon applied phenomena of reflection mirroring audio from the press conference recording across the soundtrack timeline on a digital audio workstation. The effectiveness of this procedure has been publicly demonstrated in applications where military and forensic-grade intelligence concerning events of the Iraq War, identification of the BTK Killer and UFOs in Edward Snowden’s NSA data cache was released prior to widespread acceptance as matters of public record. The partial transcript below reflects the spoken comments of RCMP Assistant Commissioner Gilles Michaud during the October 22, 2104 RCMP press conference and the encrypted messages detected therein. The CIA’s storied history in Canada includes funding MKULTRA torture research at McGill University that provided the foundation for Guantanamo Bay and Abu Ghraib atrocities of today. The independent student newspaper McGill Daily has chronicled this extensively in an article titled “MK-ULTRAViolence Or, how McGill pioneered psychological torture” that was published on September 6, 2012. With such a depraved history of violent intervention in Canadian affairs, readers may speculate concerning Prime Minister Stephen Harper’s intentions (and to whom he was directing his message) in stating that “Canadians will not be intimidated” during his brief address to the nation.